I hope you all had a beautiful day. Today the post is all about My Favourites of 2010. I have been working on this since long, gathering things which I used the most or which were my favourites of 2010. Finally, I came up with these things, which I loved and used the most in 2010. So, let's get started. These are some of the products from hair care to beauty products. These products I used throughout the year and they are still my favourites :) It includes hair care, body scrub, make up products and my favourite fragrance since years. In 2010, I was obsessed with body scrubs and I am still obsessed with them. But, it doesn't mean I scrub daily. Ofcourse, once a week only. I love the smell of the skin after scrubbing and the way it feels. 1. 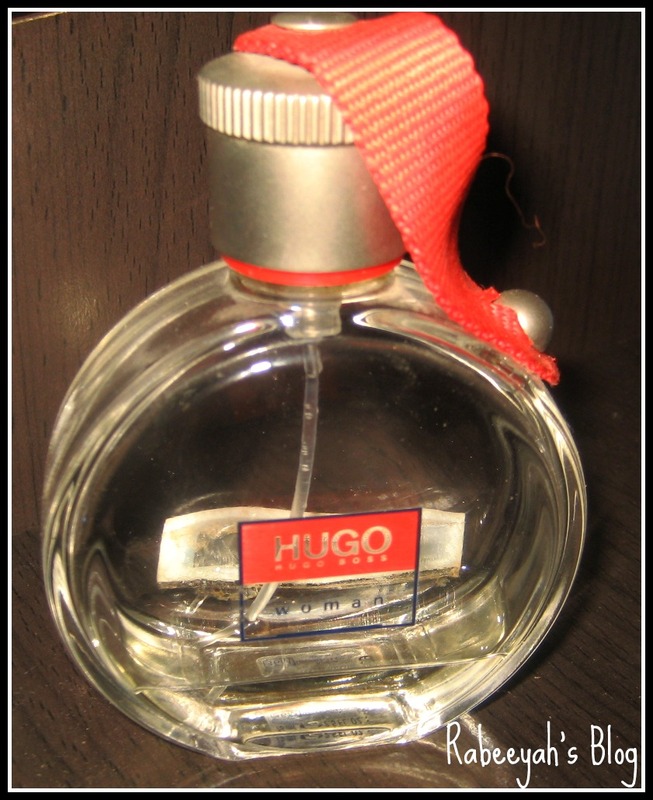 Hugo Boss - Women perfume. 2. Salon Chic - Straightening Mist. 3. Pond's Flawless white - Face wash.
4. 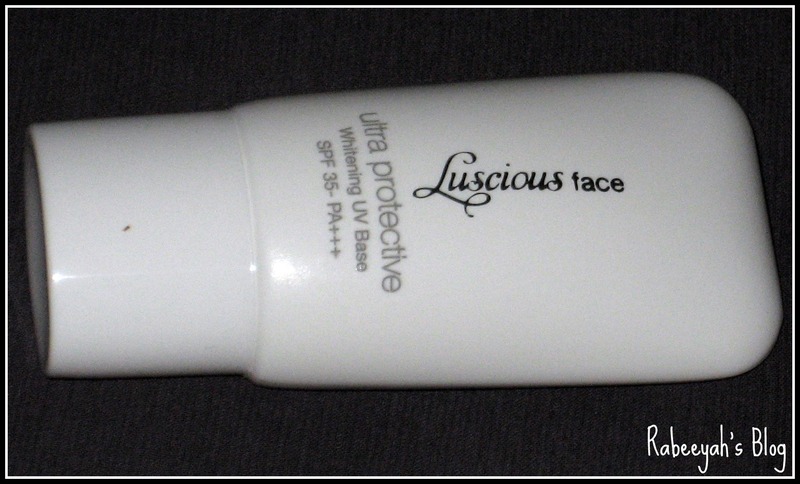 Luscious Face - Ultra protective whitening UV base. 5. Luscious Face - Flawless Foundation in SAND. 6. Freeman - Grapefruit Sugar Body Buffer. 7. Luscious - Compact in no. 2. 8. 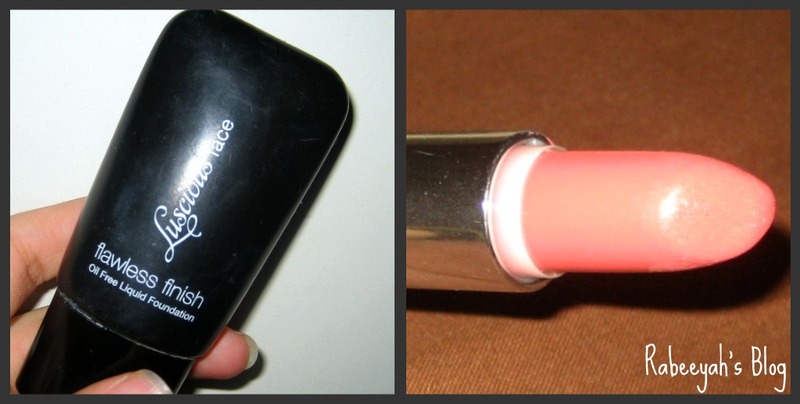 Luscious - Lipstick in Temptation. 9. 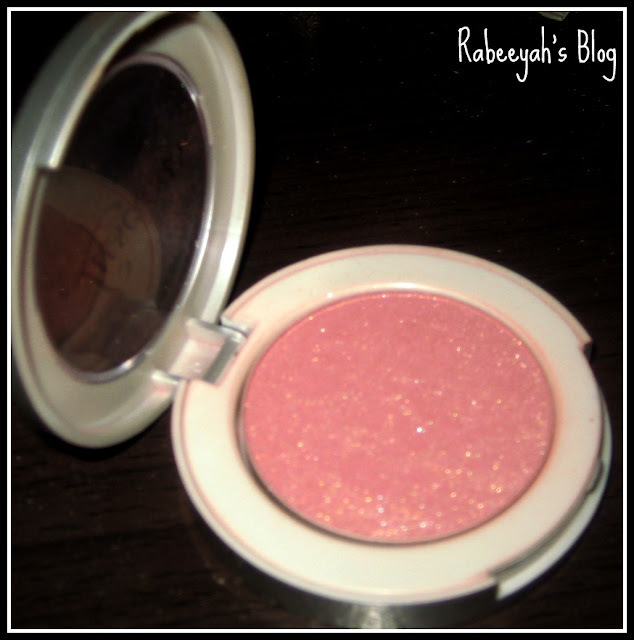 Luscious - Blush in Sparkle. 10. Luscious - Plumping Lip gloss in Pink Lemonade. 11. Luscious - Cream eye liner pencil in Black Onyx. Phew! They sound alot, but for a year they are less :) Out of 11 products, 7 are from Luscious Cosmetics. 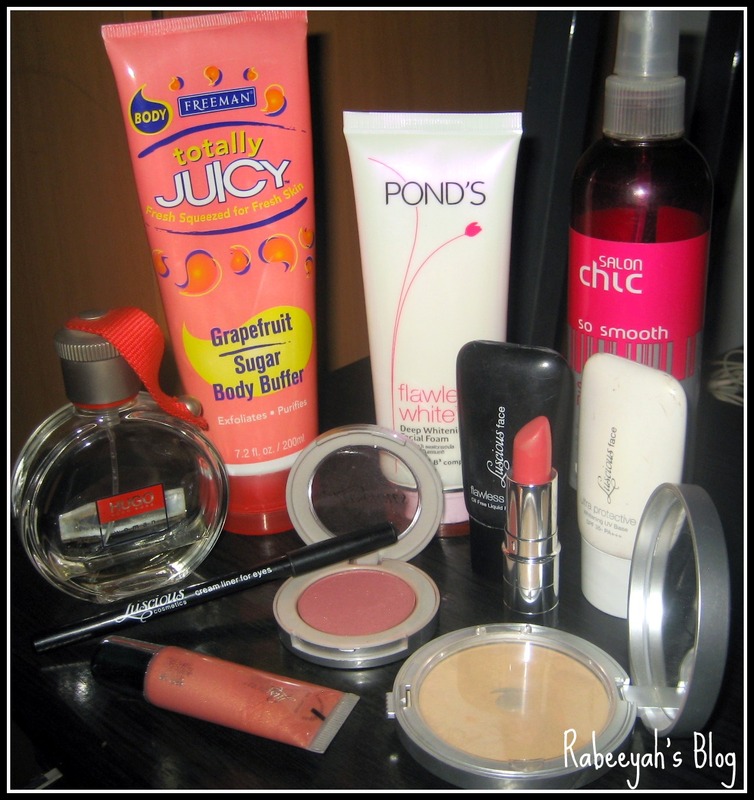 As you can see, I was also obsessed with Luscious products in 2010. I was so happy to find a brand, which had amazing good quality products and still has. The good thing about Luscious is that, it is easy to buy, by ordering online. As you all know, it is one of the best Pakistani Brand. I simply love all the products I own of Luscious. These are just few of them. Here is the closer view of some of the products. Luscious Cream eye liner in Black Onyx. Luscious Face Flawless Foundation and lipstick in Temptation. This post is getting longer and longer. I think I should end here, before I start reviewing them :) That's about it. I hope you enjoyed reading and knowing My favourites of 2010. Let me know about your favourite products of 2010 in the comment below or do a blog post about it and paste your page id in the comment section. I would love to know your favourites. Soon, I will come up with some exciting reviews on lip products. pls do a review on luscious ultra protective whitening base. does it do it job? can it be used a sole moisturizer in summers since my skin gets oily during tht time. how long does it lasts dont u think its too small a size..
Sure Swaleha, I will soon do a review on it. Yes! It is a must have for our weather specially. It is a good moisturizer, primer and a sun block. how is this straightening mist?? ?